KHARIF season has started in lower Sindh and cotton sowing is under way in the left bank areas wherever wheat has been harvested. Upper Sindh growers on the right bank of Indus, who mostly grow rice, would begin the sowing of the crop by May. The rice growers, who suffered losses due to floods and monsoon rains in the last season, might face seed shortage though government functionaries say that they have ensured its availability. The expected sowing targets for cotton and rice this year are around 650,000 and 642,000 hectares respectively. 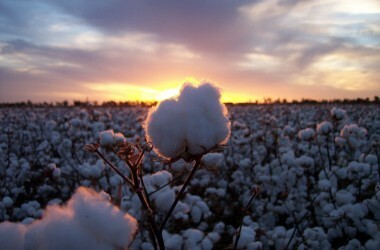 Sindh last year had produced 4.2 million bales of cotton with an average production of 1,400kg lint cotton per hectare. Growers have been sowing BT cotton for the last several years in view of its potential for better yield. Kharif season for the right bank areas of upper Sindh normally begins in May if there is no water shortage. This region is famous for rice production and growers wait for water availability for sowing the crop. Sindh normally produces 2.4 million tons of coarse variety of rice. The majority of small growers sow mixed seeds of cash crops like cotton, wheat and paddy. While they have started paying attention to using high-yield certified seeds, they do not have easy access to them. The Sindh Seed Corporation and other private companies meet only 20 per cent of the total seed requirement of the province. The rest 80 per cent comes from farmers` own stock. Growers don`t get better crop returns as the seeds they are using are of multiple varieties with different per acre potential. Some of the varieties are early maturing while the others are mid or late maturing. rogressive farmers prefer certified seed. It is generally small growers who get seeds from different dealers, multiply them in their land and then preserving them to be used in the next season. Certified seed is purified and has the ability to nourish the crop. According to progressive farmers, it raises output by around 20 maunds per acre. Farmers like Nadeem Shah says: “They can arrange their own seed by sowing it on a piece of two acres and then use it in the next season but they usually avoid it.” He further adds, farmers can easily multiply their own quality seed. “I myself got 60 maunds per acre of paddy against production of an ordinary farmer who gets 25 maunds on an average,” he says. The Sindh government has a programme to supply quality seeds to growers and provide them pre-basic and basic seeds. Farmers with 200 to 250 acres will have to first get themselves registered with the Sindh Agriculture Research Department. After verification, they will be provided basic seed for multiplication. The department is providing SKD1 (Sakrand-I) and TD1 of wheat seeds to growers which, according to Director General Research Hidayatullah Chajro, yields 75-80 maunds per acre. He says farmers generally use mixture of seeds but now they are getting aware of the importance of quality seeds to get better return. “We give seed to private companies as well,” he says. He links this year`s bumper wheat crop to quality seed provided by the department. He attaches great importance to a check on sale of uncertified seed to farmers by the Federal Seed Certification and Registration Department (FSCRD). President of Sindh Chamber of Agriculture, Mirpurkhas, Mir Zafarullah Talpur says small farmers are basically dependent on dealers to get seeds on credit. So they mostly use seed provided by them. “They are unable to pay so much attention to quality seed,” he says. Impure seed becomes susceptible to different pest attacks, as growers are not aware of the variety of seeds they have sown and fail to control the pest menace. That`s why Zain Shah, a Nawabshah-based grower and Sindh Abadgar Board official, refers to BT cotton seed which, he says, has not been subjected to research. “Climatic conditions of lower Sindh are supportive of BT cotton but not the rest of Sindh and therefore it is necessary that a research should be carried out on it,” emphasises Shah. The FSCRD has shortage of seed inspectors and logistics which hamper its functions of checking sale of uncertified seed. Regional Director of FSCRD Tariq claims that 37,000 maund of quality seed was available for cotton grown on 2.5 million acres. Last year 742,000 maunds of seed for different varieties of wheat like TD1, SKDI and Imdad were provided to farmers. “Farmers are now realising that sowing of certified seed is necessary ,” he says. The Sindh Seed Corporation (SSC) manages its farms spread over 8,500 acres and provides pure seed. It is also working on creating its own Foundation Seed Cell to get pre-basic and basic seeds for farmers. It mostly provides irri-6 and KSK282 of paddy, cris variety of cotton and TD1 and TJ83, Kiran varieties of wheat seed to farmers. Sindh Seed Corporation Managing Director Shafiq Mahesar regrets that agriculture research wing is not coming up with new varieties and farmers are generally interested in their preserved seeds although they could get more production from seed provided by the SSC.